The Amazon Kindle has been on my Christmas wish list since the beginning of time. I mean, not really, because Amazon only came out with the device in 2007. Even then, no one could get their hands on a Kindle because they were such a hot seller. Plus? The first generation Amazon Kindle was $399. The Amazon Kindle of yore was groundbreaking, but it didn’t hold a candle to even the smallest tablet now. In fact, the 2013 Amazon Kindle Fire is practically a computer (it is) you can take on the road (minus all the headache). They tablets get bigger, better, faster every year, and this year’s Kindle is no exception. 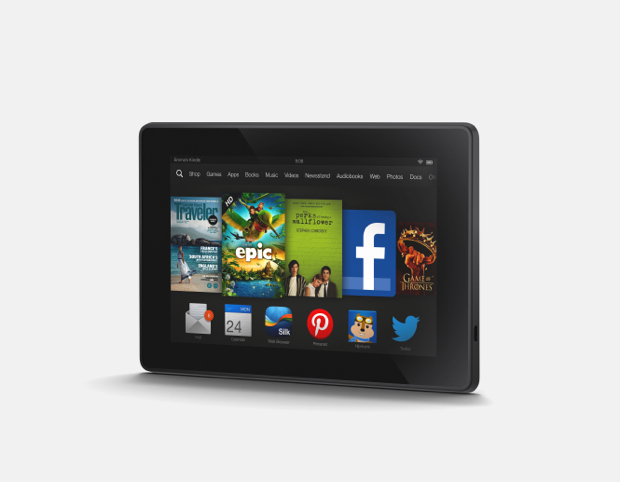 For a super reasonable $139.00, you can be the owner of your very own Amazon Kindle Fire (HD!) with 8GB. For $20 more you get 16GB. That’s a hefty amount of space on a tiny, teeny, little lightweight tablet. What really kills me though, is what this baby can do. Even though I’m definitely still a lover of good books (both paper and hardback), and there’s nothing quite like a bookstore with the smell of books and coffee and happiness, I can’t live without an e-reader when I travel. I learned that when we traveled to Europe a couple of years ago as a family, for a month. I was baffled carrying around enough books for our (very reader-y, reader) family of 4 through airports and train stations and jet lag recovery on both ends. 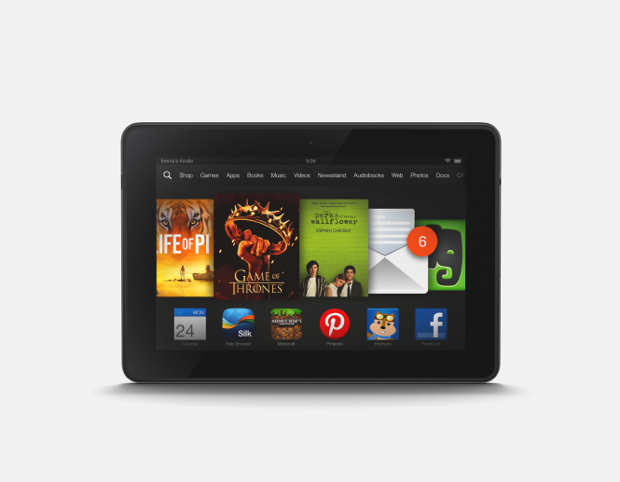 This Amazon Kindle Fire HD business? If there’s someone on your nice list (it can totally be YOU) who’s really deserving, be the best gift giver of all time with a Kindle. p.s. Pour le FCC, this Kindle was sent my way for perusal. Gracias, Amazon. The hubby has a Kindle and loves it. Sometimes, if I have been very good, he let’s me borrow it. This is exactly what I want for Christmas. I’m so attached to my Kindle White but I’d like to read my magazines in color.